Description: In 2011, Katherine Muller began an experiment in experimental plot 1 to assess the effects of aphid herbivory on Echinacea angustifolia survival and fitness. One hundred study plants in the experimental plot were randomly assigned to one of two treatment groups: aphid addition and aphid exclusion. 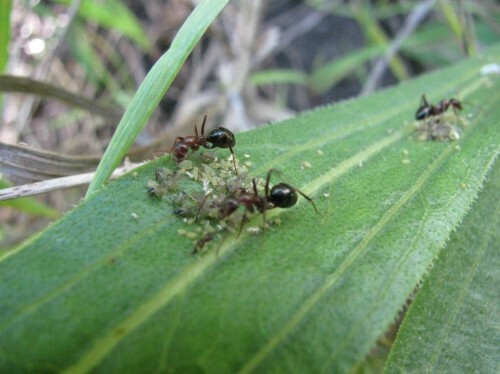 Twice per week, throughout each growing season, team members remove aphids from plants in the exclusion group and add aphids to plants in the addition group. In addition to assessing survival and reproductive fitness each year, we measure growth traits and leaf senescence.